Dream about bats | Welcome to Dreams.com! 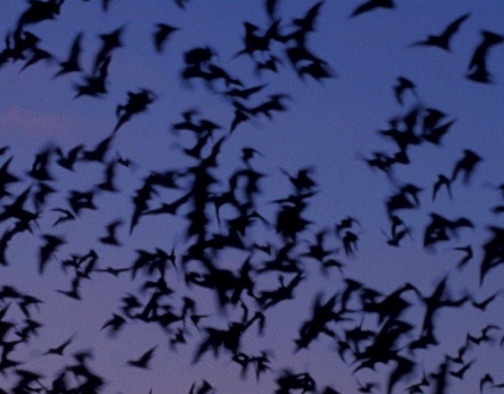 What does it mean to dream about bats? Dream: I was standing in front of a dresser with it open and I was pouring gravy in the drawer and then baby bats would fly out I did it over and over again. DreamsMaster: Key to understanding the meaning of this dream is to understand what the different symbols mean to you personally. Since I don’t know you, I will project my own thoughts and meanings onto the dream. As you read, consider what might fit for you, and when something does not fit, ask yourself what might fit better. Dresser: In my home, a dresser contains clothes, organized into different drawers. If this were my dream, the dresser would represent my self-image, and depending on which drawer I was pouring the gravy into, would reflect on what element of my self-image the dream was about. For example, my main dresser drawer contains my undergarments. In this case, the dresser drawer in the dream may represent my self-image related to my sexuality. Gravy: What do you usually pour gravy over? If this were my dream, I usually pour gravy over foods that I want to enhance their flavor. So in this context, gravy would represent something that makes something else more palatable. Bats: Bats in dreams sometimes represent something scary, but baby bats would minimize the fear. 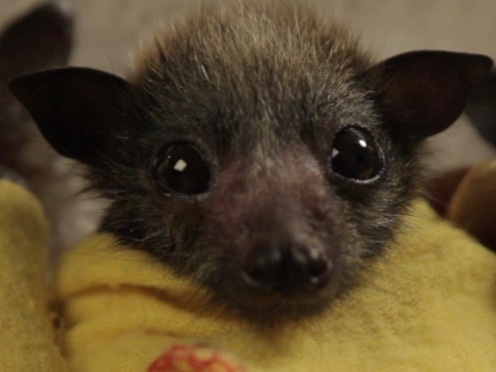 I am pouring gravy (something tasty) into the drawer (my self-image) and baby bats (something not so scary) come out. There is something about my private identity that scares me, but if I allow myself to view it another way, I might actually find it enjoyable and discover that it’s not as scary as I think. Dream: Dreamed of bats lots trying to get into windows. My son let two in and I was frightened. He let two in. 1) Let’s begin by looking at the theme of the dream. In general terms, what is going on? For example, the theme of this dream could be: There’s a whole lot of something threatening outside, and someone has allowed some of the threat to get in. 2) Next, look at the specific dream symbols (such as person, place or thing) and think or write about what each means to you personally. Here’s an example from my own personal perspective – if this were my dream – but keep in mind these are only my personal projections onto your dream; you’re the one that needs to decide what fits! House = Sense of Self. Son = If I had a son, in this dream the son would represent himself. Two = The concern is twofold. 3) Take a look at the feelings evoked in the dream, and see if you can connect them to feelings you’ve been experiencing and perhaps denying in your daily life. To be “frightened” usually includes feeling vulnerable and lacking control. Are these feelings familiar to you? There are a number of frightening influences in the outside world, from which I try to protect my family and myself. My son does not perceive the threat the same as I do, and he is allowing some outside influences to enter our home. 5) Finally, as you work through this process, ask yourself, where in your waking world is this happening? And, what was on your mind the night before you had the dream? It’s possible your inner detective is at work, giving you this dream as a warning. This thought came to me as I was projecting my own personal thoughts and feelings onto your dream: Does your son have two friends that you question may be a dangerous influence on him?